There are Lush Spa’s in Edinburgh, Kingston, Leeds, Liverpool, London and Poole. 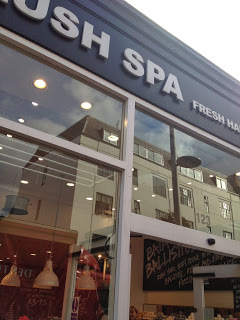 While in London we were lucky enough to visit the Kings Road, Chelsea Spa for some treatments. My husband was booked in for the Synaesthesia and I was booked in for The Spell. 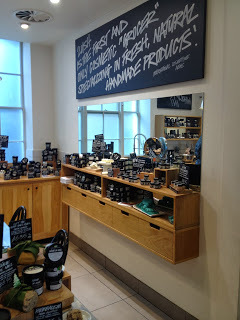 I wasn’t too sure what to expect, my hubby works for Lush, so we are already massive fans, but I wasn’t sure what the spa or the spa treatments would be like. The Spa itself is a traditional Lush shop with the usual products for sale. It’s as you head towards the back of the store you notice there’s an entrance to the spa area and a Lush Spa Kitchen Garden. I was able to sit in the garden at the rear of the spa with a coffee and some fruit. It was a nice experience, considering it is central London. The member of staff who showed me the way explained all about the garden and the products that are grown there. 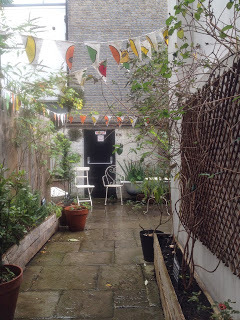 The Lush Spa Kitchen Garden was planted for the Chelsea Fringe and is a great way for their customers to explore the natural ingredients that used in their products. 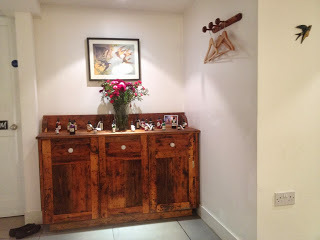 The spa itself is down some steps into a Country Kitchen styled room. 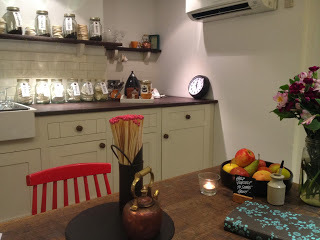 The room is simple and pretty with a bowl of free fruit and a heavy wooden table in the centre. Do you want to move forward? The Spell is probably the first step. We believe that worries prevent you from stepping up in life and that emotions can be stored in your body. The Spell has this extraordinary power to let you move forward with joy, understanding and courage. You realise the Spell is not an ordinary treatment when you literally see your worry disappear in a puff of smoke before entering our magical treatment room. Fully clothed and comfortably lying, your therapist uses the ancient art of treating to body through your feet by stimulating reflex points. The Spell takes you into this carefree state enhanced by a scalp massage and hot stones. Your feet feel amazingly fresh and light thanks to the different products from our unique foot range. You will feel like dancing out of the Spa, leaving your troubles behind. My therapist, Hollie, sat down with me and explained what would happen and also got me to write down a worry that I had, I chose the obvious one! 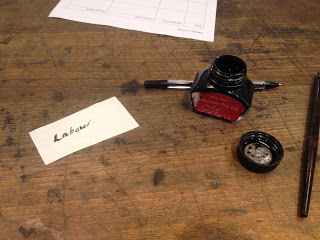 Hollie then set fire to the little piece of paper I’d written on. I was escorted into the treatment room where initially my feet were scrubbed and cleansed before I was made comfortable on a treatment bed before Hollie started to work her magic on my feet. 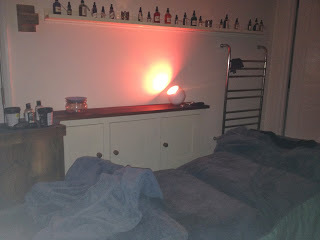 With a blend of reflexology and massage I felt amazingly relaxed, and will admit I may have had a little sleep! The hour flew over, and upon pulling myself together I felt so relaxed and awake. I was left to get ready at my leisure before Hollie made me a cup of mint and lemon tea and left me to relax at the kitchen table whilst she tidied up. I absolutely adored this treatment, considering I don’t really enjoy my feet being touched I was very impressed. As soon as this baby is out we will be visiting again, and I’ll be trying the Synaesthesia, seeing as my hubby raved about it.